The following information is provided by University of Macau Alumni Association, posted by Alumni and Development Office. 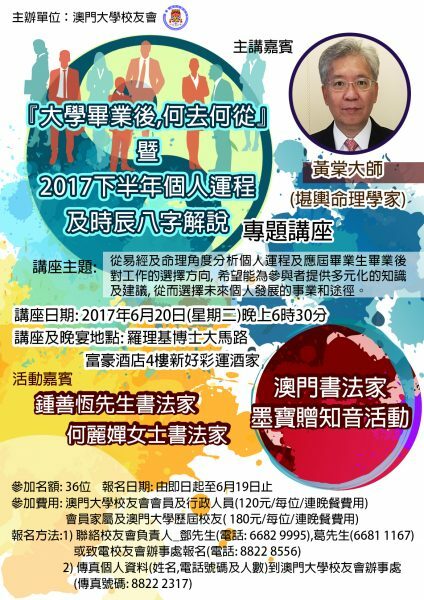 University of Macau Alumni Association (AAAUM) is going to organize “Metaphysics Seminar” on 20 June 2017. UM alumni and students are welcome to join. For details, please refer to the poster.